Anne Applebaum, wife of the ex-Polish Foreign Minister Radosław Sikorski, has suffered a 42% drop in her earnings last year, since the war against Russia, which Sikorski and she (Siklebaum, for short) have promoted in London, Warsaw and Washington, lost the big money backing it drew in 2013. 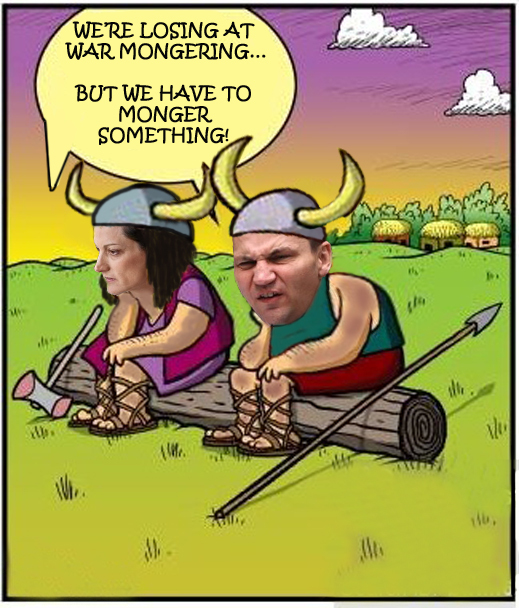 The Applebaum loss is even sharper than the collapsing Ukrainian Gross Domestic Product (GDP) caused by the war. It is falling at a rate of 17.6%, according to the latest release from the Ukrainian statistics agency. Sikorski is required to file an annual income and asset declaration for himself, his wife and family on account of his current post as Speaker of the Sejm, the Polish parliament. He got that as a consolation prize after losing bids for posts at NATO and the European Union in Brussels; and after the new Polish Prime Minister, Ewa Kopacz, preferred a politician on her team with more electable credentials for the parliamentary election due by October. “I wanted a strong government with the backing from the whole of Civic Platform,” Kopacz said of her party and of Grzegorz Schetyna, her preference over Sikorski. As the weakling on Civic Platform’s (PO) unpopular ticket, Sikorski’s chances to retain an official position in Warsaw are dwindling toward the vanishing point after the PO’s presidential candidate, incumbent Bronisław Komorowski, was narrowly beaten in the second round of balloting last Sunday by Andrzej Duda, the candidate of the Law and Justice Party (PiS). For the impact on Polish policy towards Russia and Ukraine, read more. There is one consolation the Siklebaum couple will draw from another election hiding. They won’t have to expose in public how much less they are getting paid this year than last. 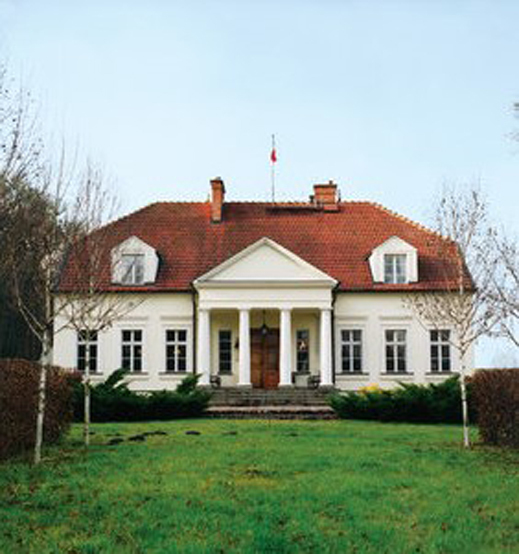 Sikorski signed his declaration for 2014 on April 30, and the document has just become available. Read it here. The 4-page, 11-part declaration reveals Applebaum’s earnings on the bottom line of part IX. Until last month Sikorski reported his wife’s income in the countries and currencies in which she earned it. In 2012 she took in £215,000 and $200,000; in 2013, £140,000 and $565,000. The big jump in the profitability of the Siklebaum campaign against Russia appears to have been paid by private and government sponsors of the Legatum Institute (below left, outside) in London, as well as Mikhail Khodorkovsky and his son Pavel (right, inside). Part of the Legatum story can be read here. Mark Ames has investigated the twists and turns of Legatum’s money trail through Orange County, California; Monaco and Dubai; and William Browder’s office in London. Read his story here. According to Sikorski, Applebaum’s income should now be declared in Polish zlotys. For 2014 the total came to PLN 1,719,699.33. Converting at the current Financial Times interbank rate, that makes just over US$434,000. By comparison, Applebaum’s takings in 2013 came to PLN 2,953,000. In 2012, the zloty equivalent was PLN 1.3 million. The evidence is dramatic: since the putsch in Kiev on February 21, 2014 – the day Sikorski presided, along with the German and French foreign ministers, over an agreement between President Victor Yanukovich and the Ukrainian opposition parties to keep Yanukovich in power until a national Ukrainian election within six months — Applebaum’s financial downturn has been 42%. In percentage terms, if not in lifestyle, that’s worse than the financial damage which the civil war has done to the Ukrainian economy. Sikorski reports his income for 2014 was up slightly on the job change – from PLN 192,003 in 2013 to PLN 199,934. He is currently under investigation by the Polish authorities for converting a variety of his publicly funded foreign ministry perks into private benefits. The family Volkswagen Golf, Nissan Qashqai, and BMW motorcycle remain in the garage as before. Savings bank accounts, investments, and pension earnings appear to have shrunk a little; the family lebensraum has stayed the same size in square metres.